And it needs to be preserved, not just for its incredible biodiversity but because it nourishes the soul. 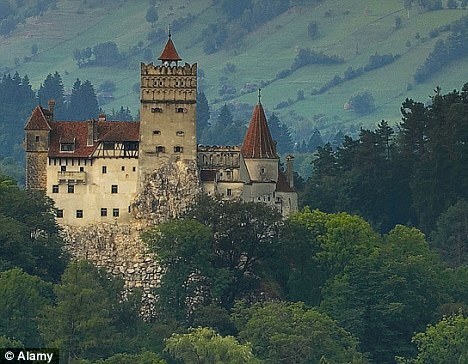 To visit Transylvania (part of modernday Romania) and the Carpathian mountains is to enter a time warp. It’s one of the last great wildernesses in Europe, where bears, wolves and lynx roam a medieval land in which farmers and shepherds live as they’ve done for hundreds of years. Prince Charles has fallenin love with this place, and so have I.
Transylvania has so much to teach us... It’s the last corner of Europewhere we see true sustainability. From the air, you can see great swathes of deforestation. HRH kindly allowed us to film him at Birkhall, his home at Balmoral – because that’s the Carpathian landscape of the future if they continue cutting down trees at the present rate. The Scottish Highlands are undoubtedly beautiful, but they are barren. Yet this wasonce the ancient Forest of Caledon, with wolves, bears, lynx and European elk.